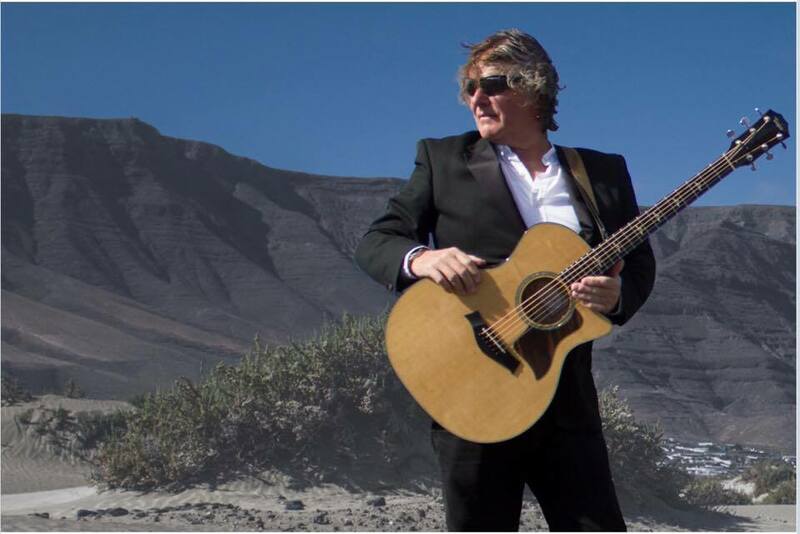 It’s not unusual in Lanzarote to hear a musician’s name repeatedly before you get the chance to go and see them. This is exactly what happen with Adrian Bambrough to whom I was recently introduced to personally by a common friend. Where are you from originally, Adrian? I was born in Greenford west London and spent most of my young life in Lewisham South East London. I moved to Ruislip West London where I married and worked until I moved with my business to Devon. I have lived permanently in Lanzarote for about eleven years now, but Lanzarote has been apart of my life for over forty years. Due to my father George Bambrough who brought a plot of land to build a villa on in Nazaret in the early 1970s. As it took a long time for the planning permission to go through he brought a villa in Nazaret and so my love affair with Lanzarote began with my holidays here with my father. I see. So what do you like the most about the island? The natural unspoiled beauty of the island. This I feel was born from the vision of César Manrique and his ability to enhance the beauty of the islands natural places. I totally understand what you are saying there. So what is your favourite place in Lanzarote? I love to go to Las Nieves which I find very spiritual with its past history breathtaking views over Famara and the dark secrets of the caves. Let’s get down to business. What do you play and / or sing? I play the acoustic guitar in my gigs, but can also play the piano. The music I enjoy playing is American soul, but I tailor my set to the venues and the different audiences within them. I am always learning new songs to put into my set these come from both myself and from requests from the audience. I like them to feel they are part of my act and in the second half I will ask for requests. Do you normally play on your own or a band? I play mainly on my own now under my own name, Adrian Bambrough, but have played in several bands over the years one being “Driven”, a seven-piece soul band with a brass section, the other in a Queen tribute band with four others. I am the lead singer in both. Oh, now that I think of it, I actually have seen you with the Queen tribute band two years ago without realising it was you, hahaha! Who is your idol and / or inspiration? There have been many influences over the years but Joni Mitchell and David Bowie are ones that stand out, mostly due to their lyrics and the connection I feel I have with them. The way they have the perfect marriage of both melody and lyrics. And how would you describe your gigs and your music for someone who’s never heard you before? My gigs are an eclectic mix of different genres with something for everyone. 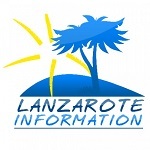 When and where do you have regular gigs in Lanzarote? I spend Thursdays in my studio working on both my own compressions and helping other musicians lay their tracks down. And Saturday is my night off, but I enjoy going to see other musicians play. Which musicians do you like to go and see play, if you don’t mind me asking? I regularly go to see Danny Tagg and Stephen Mooney who I believe are the best musicians on the island. They play at Africa Bar on the Avenida. There are others I look in on and I work with so it’s nice to catch up with Marcus Rose and Gail O’Donovan. Yes, I know them all. I even interviewed Stephen a few years ago, would you believe. It is indeed. Do you have any special projects coming up? I am looking to put together a tribute concert in loving memory of my daughter Clare who died suddenly in October last year. Oh no! I am so sorry to hear about your loss. I have very fond memories and I am truly grateful that Clare also loved this wonderful island. She learned to swim here and ride her bike and so many more things. Clare was so very happy here. I also have a new CD out called “Pieces of my Heart” that can be bought from my web site www.adrianbambrough.com or at any of my gigs along with my previous CD “Short Stories”.I look forward to listening to those. And how can our readers keep up to date with your gigs? You can follow me on both Facebook https://www.facebook.com/adrian.bambrough.5 and via my website www.adrianbambrough.com. Great, thank you. Anything else you’d like to tell our readers? I live in a lovely traditional Canarian finca with my wife Elizabeth who I met on the island nearly six years ago. So you can say Lanzarote has given me everything I have ever wanted. And also I tour West Coast America every January / February. Well, it’s been an absolute pleasure meeting you, Adrian, and keep us posted on the tribute to your daughter – which is such a sweet thing to do. Best of luck on all your future endeavours! Bay View Villa is A Villa With Stunning Views and A Private, Heated Pool & Free FIBRE Wifi.